Kerrin McEvoy was quizzed by stewards about the tactics adopted on Classique Legend after the even-money favourite was posted wide throughout in the Listed Darby Munro Stakes (1200m). McEvoy defended his ride by suggesting that pushing on would have been detrimental to Classique Legend's chances in the race before adding that the three-year-old didn't show the same "zip" on the heavy track. Punters Intelligence reveals that the first 400m of Classique Legend was 25.04s, some 3.5L quicker than the lead time set by Avantage (25.63s) in the opening race also over 1200m. "They kicked up underneath me which made it a bit tough, it felt like he was just okay in the ground once I asked him. 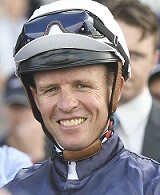 He has got a better turn of foot on firmer ground," McEvoy told media. It was the Mick Price-trained Krone that swept past Classique Legend and Wild Plant late. Gem Song was never in the race with Jason Collett saying he didn't handle the heavy track. What Now For The Autumn Sun? "The two best teams don't always meet in the grand final." That was Chris Waller's frank assessment when asked if The Autumn Sun would now take on star stablemate Winx in the Queen Elizabeth over The Championships. Say what you want about The Autumn Sun but there is no denying his will to win. The conundrum is where he heads to next. If the Queen Elizabeth is unlikely due to his lack of maturity, that leaves the Doncaster. Would he be sharp enough back to the mile? Or the Australian Derby, which would be even less likely. "We'll leave that until we see how the horse pulls up and have a chat to the owners," said Waller. "All I know is that he is not mature yet. He is doing things like a teenager does against the big boys in footy finals. He is only going to improve. It just shows how good how he is." John Messara said a decision will be made on The Autumn Sun's future in the coming days. 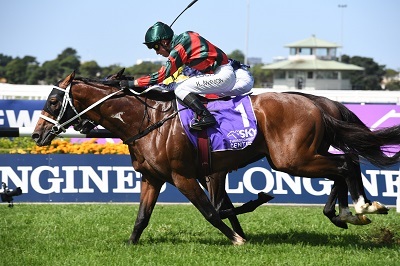 “I would never have imagined in those days growing up that I would be riding one of the greatest horses that has ever lived," gushed Hugh Bowman. But how did she go about winning her fourth George Ryder? Punters Intelligence offers some insights. Bowman was in cruise control for much of the race and it was only the last 200m when he asked her to stretch out. The mare's last 200m of 11.70s was three lengths quicker than the next best, Brutal. Winx clocked a last 600m of 34.45s, some 4.5 lengths quicker than Brutal's 35.14s. On Brutal, the Doncaster would be a lovely target but having been allocated 49kg he is a long way down the order of entry. The Hawkes stable are yet to confirm where he'll go next. The third placed Dreamforce is one horse heading to the Doncaster and after a 32.12s first 500m, stuck on well to finish as close as he did. All honours with Avilius but international He's Eminent gave one heck of a fight from in front in the G1 Ranvet Stakes (2000m). Trainer Sir Mark Todd says it's all systems go towards the $4m Queen Elizabeth where a clash with Winx awaits. "Proud of the run. He has never run on this ground, he hasn’t run since August last year, it was tremendous," said Todd. "It has to bring him on a heap. You get him on top of the ground and you’ll see a different horse." On Avilius, Kerrin McEvoy put his turnaround in form from the Australian Cup down to the soft track and enjoying getting back onto his Sydney leg. Avilius is undefeated in four runs in New South Wales. As for what's next, James Cummings flagged the possibly of Avilius backing up next week. “I don’t want to make any decisions on race day, it will be up how Avilius pulls up. We hold a nomination for the Tancred next week but it’s very much a team effort to get him here and he’s done a wonderful job to improve many lengths since getting back from Melbourne," Cummings said. Check out the fields, form and replays for Golden Slipper Day at Rosehill.